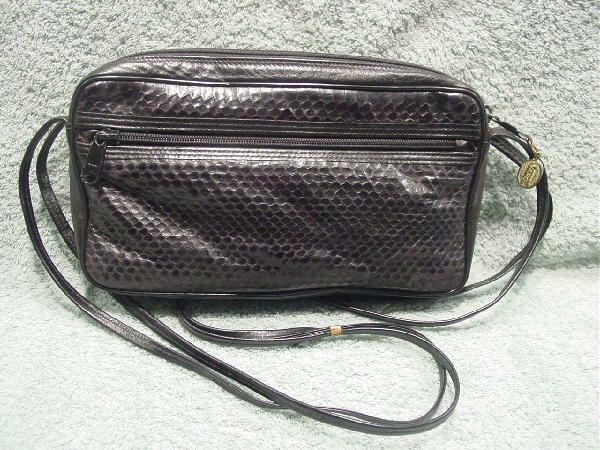 This vintage black and deep red wine snakeskin and leather purse has a top side to side zipper with a gold-tone oval logo pull. The interior has one open pocket and one zippered section. It has a black faux leather lining. The front and back have side to side 3/4 zippered compartments. It has a double 39" long shoulder strap. 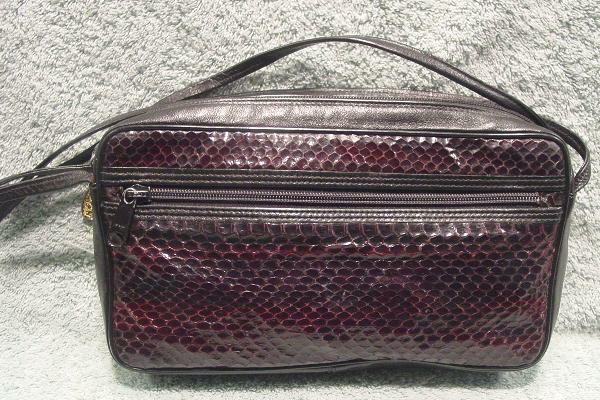 One side has black snakeskin and the other has the deep red wine color snakeskin.